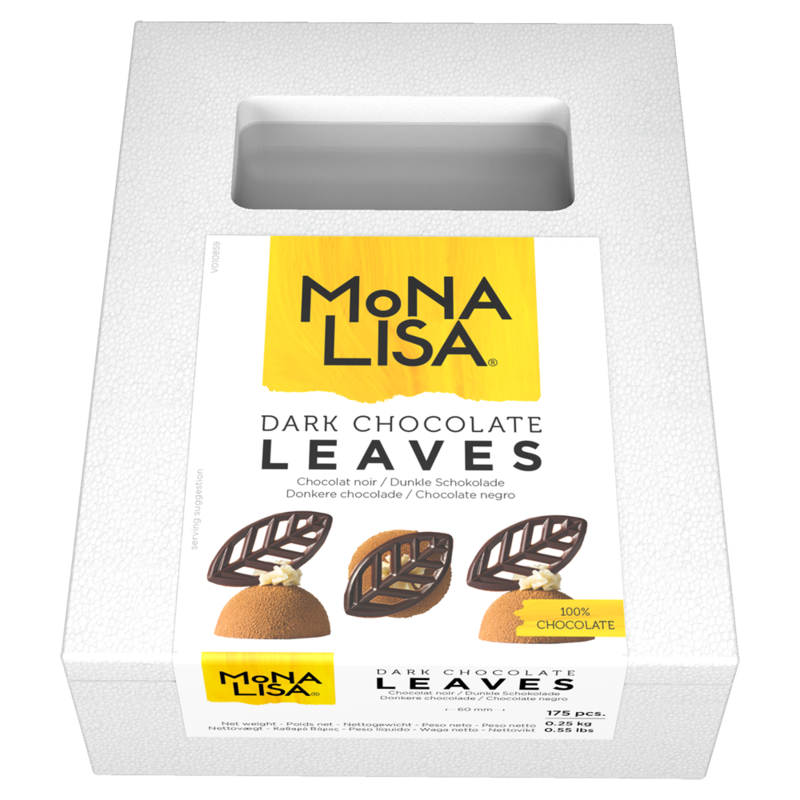 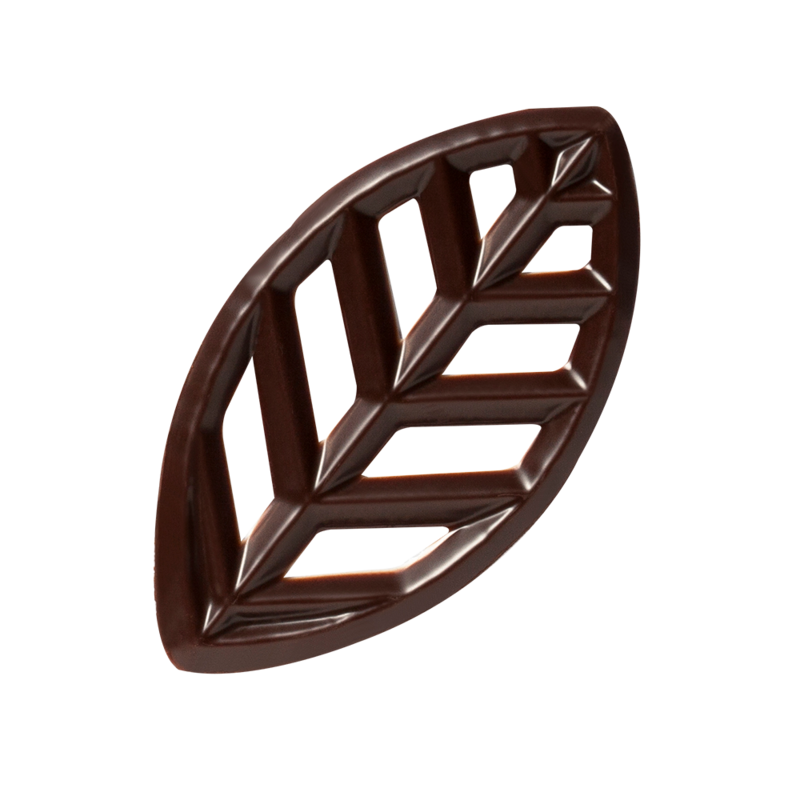 Dark Chocolate Leaves (L: 60mm) are thin with a sharp finish. 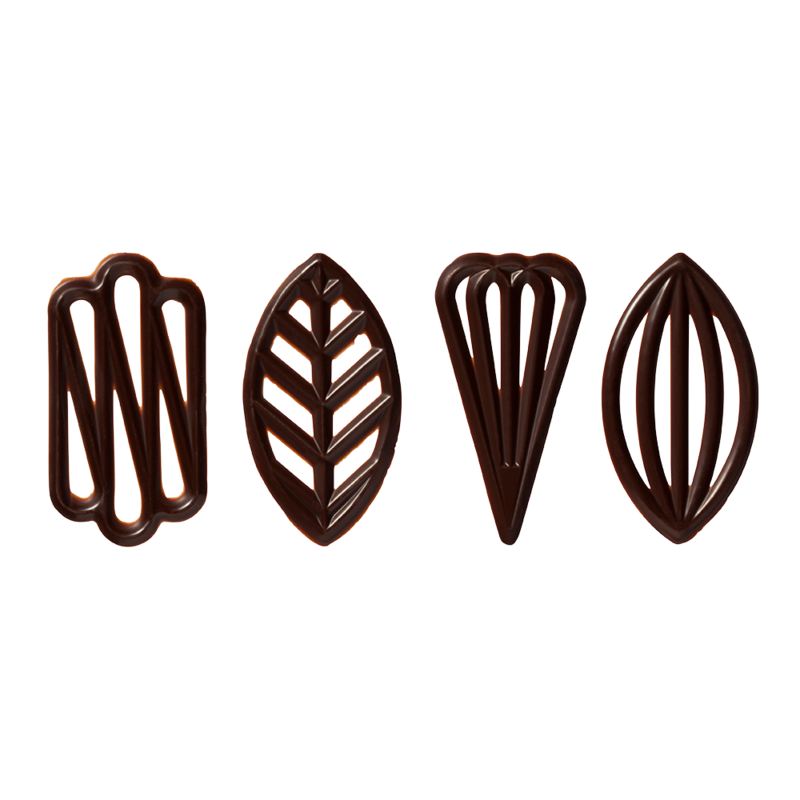 These decorations can be used on choux, éclairs and ice creams. 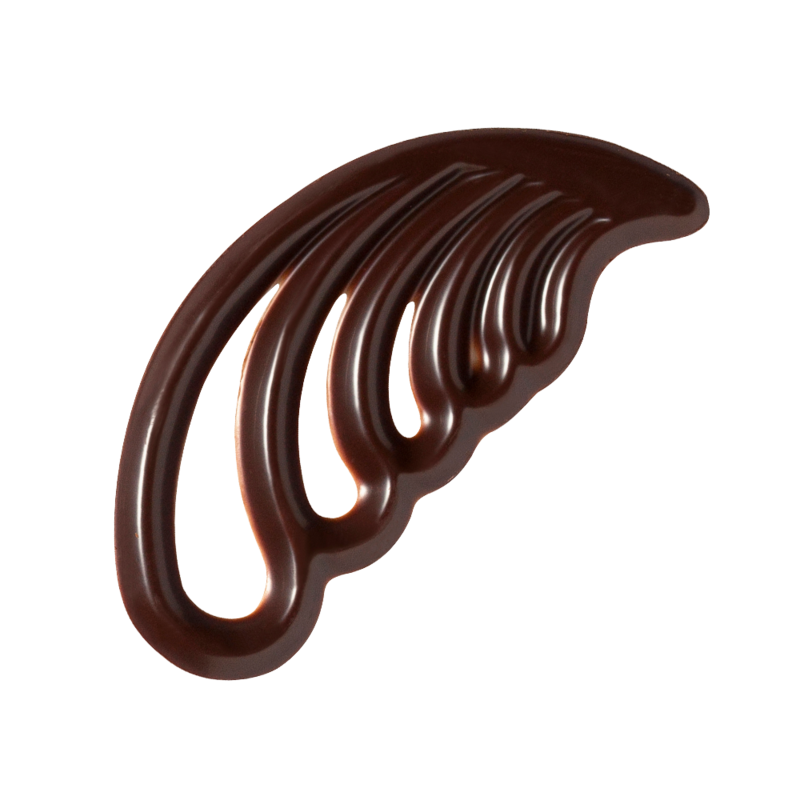 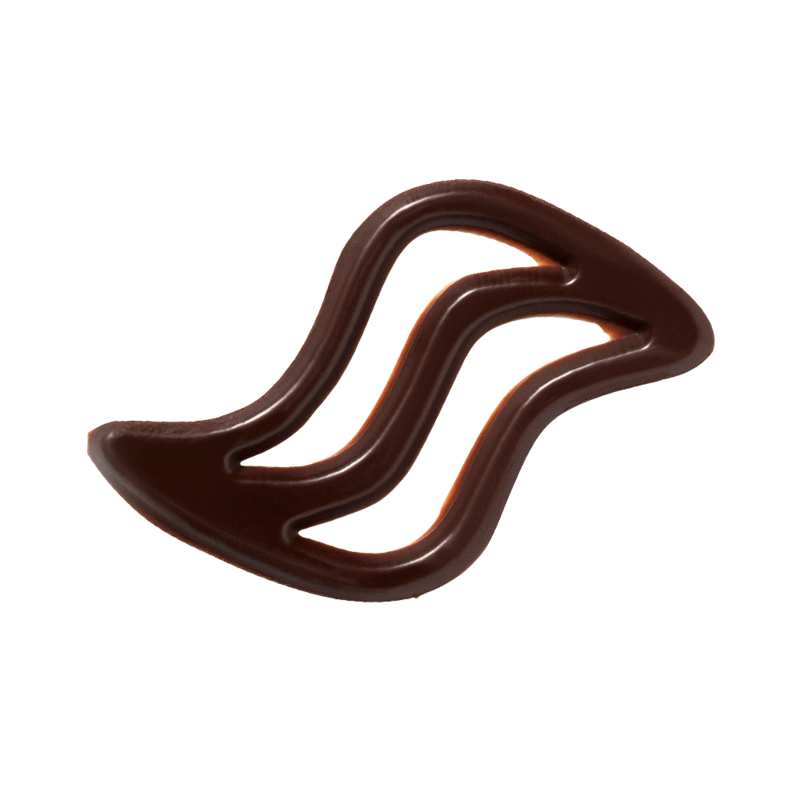 This pack contains 175 pieces; we also offer this decoration in a pack 550 pieces.